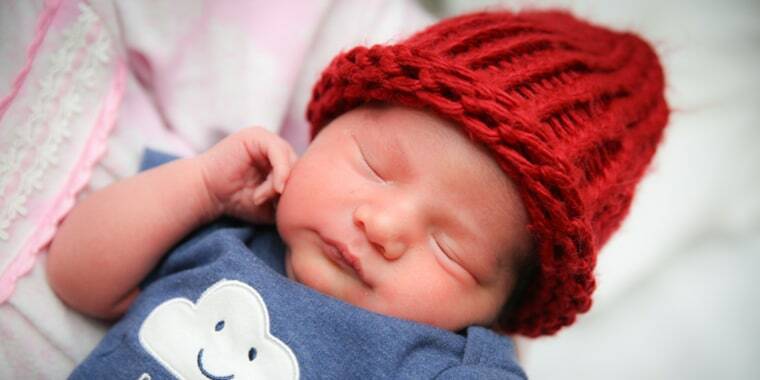 Volunteers knitted or crocheted thousands of little red bonnets that will be distributed to babies born this month. Tiny handmade red caps are transforming babies into petite ambassadors for a good cause all this month. Friday is National Wear Red Day and many infants born across the U.S. in February — designated as American Heart Month — will receive the cute accessories as part of the "Little Hats, Big Hearts" project, which draws attention to heart disease. After TODAY published an article in the fall of 2017 spotlighting the American Heart Association's and The Children's Heart Foundation's call out for volunteers to knit or crochet the cute bonnets, the project saw a huge uptick in donated hats. Volunteers created more than 213,000 hats to share with 880 hospitals across the country, or more than twice the amount collected the previous year. The numbers have remained about the same for 2019, said Alexson Calahan, a spokeswoman for the American Heart Association. "Luckily, many of the knitters who learned about us that way have kept up their donations," Calahan told TODAY. The program raises awareness about heart disease, the No. 1 killer of Americans and the No. 1 type of birth defect. Some 40,000 babies are born with congenital heart defects in the country each year, or almost 1 percent of U.S. births, according to the Centers for Disease Control and Prevention. Congenital heart defects are a leading cause of illness and death among infants with birth defects, though many affected babies are now living longer and healthier lives, the CDC noted. Some of the American Heart Association volunteers involved with the project have first-hand experience with congenital heart defects. Sofia Montoya was born with a heart that had a large hole and was on the wrong side of her body. She endured many surgeries and now at 19, she's a student at the University of Colorado at Boulder, living a typical college life. "I absolutely love getting to be a part of the 'Little Hats, Big Hearts' initiative, because it is such a meaningful act of kindness that means so much. It is a support system that can give parents hope knowing their babies are thought of. That one little red hat holds so much love, kindness, and strength," Montoya said. Organizers are no longer accepting hats in most locations because it takes some time to process, wash and package the bonnets, but they encourage volunteers to visit the project's website to donate yarn and contribute next year. You'll find the contact information for your local representative, plus hat patterns for preemies or full-term babies. "Little Hats, Big Hearts" started in 2014 in Chicago and quickly expanded nation-wide. Looking at the cute results, it's not hard to understand why!